As web technology has evolved, the storage and sharing capabilities of cloud-based PAC Systems have made the management of privileged medical information more convenient and economical while remaining secure and compliant. 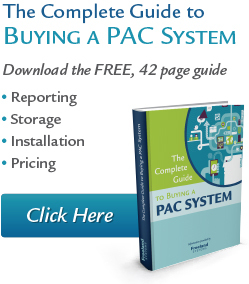 Below are a few things you’ll never have to worry about if you switch to a cloud-based PAC system: 1. We are pleased to announce that cPac is now available on IOS and MAC OS. Supported versions are available on user log-in. Great news for all Freeland customers. John Freeland , Company founder, has agreed to lead our new “Special Projects” team. His vision for next generation products is exciting and we are looking forward to implementing his ideas for new image/reporting solutions. Please contact John with your ideas and/or questions.